The excitement about getting out to the basin of the Gulf of Mexico and hauling in record size fish often distracts new anglers from the fact they need to prepare for the time on the water before fantasizing about hanging that giant bass over the mantle. For the best day of fun on the water with your charter fishing boat captain be sure to prepare you body. Fishing in the deeper waters around the oil rigs means the water can be especially choppy, and there will be more to fishing in these waters than casting your line and waiting for a bite. 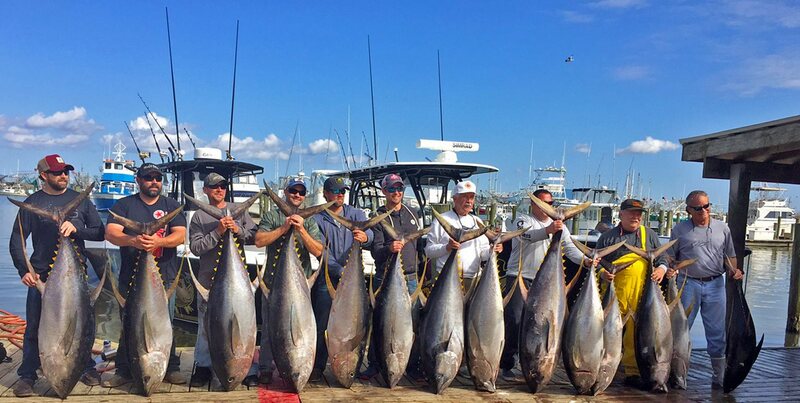 Whether going on a half-day charter boat fishing Louisiana trip near the basin of the Gulf or deep-sea fishing for tuna miles at sea, you’ll be in a better position to enjoy the day at sea by keeping these four survival tips in mind. Following these tips will ensure that you enjoy and survive your first time out at sea in the charter fishing boat. No matter how tough you think you are, countless hours on a rocking boat can weaken the knees and stomach of even the most experienced anglers. Before you reach the dock be sure to pick up an ample supply of Dramamine. If you get sick a few hours after reaching the open ocean, there is nothing anyone can do to help you. If you get sick it’s very hard to shake off your seasickness while still on the boat. This means if you get sick an hour into an eight-hour fishing trip, you’ll either be napping or puking the rest of the day away. Take some Dramamine the day of the fishing trip, and keep some handy while on the boat too. You don’t want to be the one person who misses out on all the fun and memories that you could be having out on the fishing trip. If this is going to be your first time out on a vessel miles out at sea, get plenty of rest before hunting the monster fish. Most experienced anglers who take multiple days trips on the water will be in bed before 10 pm and up long before the sun rises while the fish are feeding. If you and your friends are renting a house on the shore and spend the night drinking away, you will be hard pressed to drag yourself out of bed while the fish are biting. Commit to getting to bed early so the morning of the fishing trip you are wide awake and feeling your best. Enjoying a full day out on the Gulf waters in a charter fishing boat, allows you a lot of downtime. Even if your group catches a hundred fish during the entire trip, the catches usually occur in waves. The morning wave will be when you catch all the bigger fish who came out of hiding to eat. A few hours might pass until you find the smaller fish traveling in groups looking for food. The time between catches might be an hour or more, and you may see zero action that whole time. Don’t get frustrated, utilize the free time to pick the brains of the crew, take pictures with friends, or make new friends with some of the other people on the vessel waiting for the next wave of action like you. If you anticipate a little downtime in between those times the fish are jumping on the line, you will be in a better position to enjoy the entire day and look back on the trip with fond memories. Your charter boat fishing Captain and crew is on the boat to offer assistance if needed and teach you the proper etiquette you need to know, so don’t be shy if you are having trouble hooking your baitfish correctly. Perhaps you are in deeper waters hunting for tuna, your charter boat captain will have tips for you and may have live mackerel or sardines on board to use as baitfish. To lure the tuna from the sea depths, you’ll need to grab your live fish, hook it while it is flipping around, and drop it in the water while it still has energy left to attract the tuna. This is a lot easier said than done. Your experienced deckhand can do it in less than 10 seconds every time, so don’t be afraid to ask them to help. These tips will help you survive your first time at sea so you can focus on having fun and catching those monster fish in this region of Louisiana. If you really want a memorable time at sea with friends, ask the crew if they’ll cut up some of the fish you catch, it will be some of the best sushi you ever ate. This entry was posted in Venice LA. Bookmark the permalink. Book a Charter & Save!